Doctor Phillips was named one of the best places to live in America by Times Magazine in 2015. It was the only place in Florida to make the list! 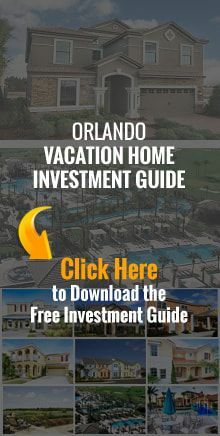 So if you had any doubts about where to make your Florida real estate investment, you won't be disappointed with Doctor Phillips. This small Orlando suburb is in close proximity to Universal Studios as well as Walt Disney World. In fact, it is close enough to see the nightly fireworks at Magic Kingdom! The area also boasts over 140 golf courses, an extensive selection of restaurants and entertainment, and a plethora of lakes for fishing and water sports. Doctor Phillips also boasts some of the fastest job growth in the country and the median household income is close to $90,000. With a median home cost around $250,000, this makes Doctor Phillips an excellent prospect for those who want a strong income without the ridiculously high cost of living that typically comes with it. Bahia Realty knows Doctor Phillips real estate. Talk with Bahia Realty's Doctor Phillips, FL real estate professionals about our extensive listings of Doctor Phillips, FL homes for sale, Doctor Phillips condos for sale, and Doctor Phillips townhomes for sale. Don't forget to ask about our Doctor Phillips, FL relocation services, too!